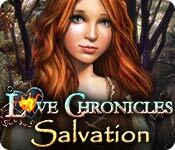 Love Chronicles: Salvation is rated 3.8 out of 5 by 27. Rated 5 out of 5 by cejene from Enjoyed this game Enjoyed the game and Lucio’s guard cat. Lots of HOS! That is what HOS games should be like. I feel the designers of game put a lot of thought into it. Rated 5 out of 5 by SparkleGlow100 from Very enjoyable! As you begin this HOPA, the artwork is unbelievably beautiful and I was immediately drawn into the atmosphere of this story. The mesmerizing quality of the artwork sadly doesn’t continue quite past maybe 1/2 of the way through, but I still found the whole game play very enjoyable. I still found the graphics somewhat better than the more recent “Love Chronicles: A Winter’s Spell. 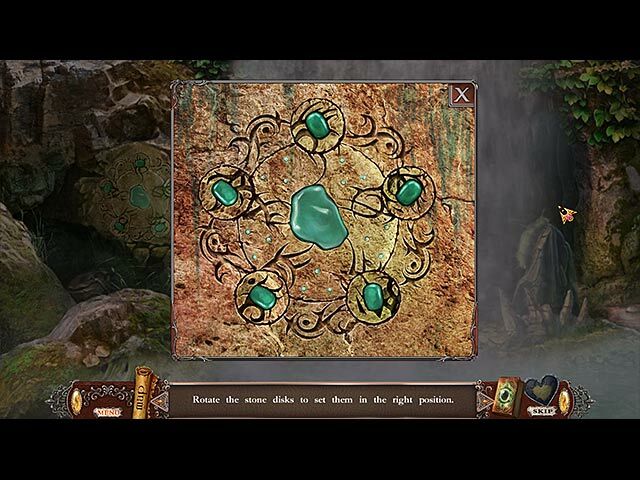 “ In fact I’m currently playing “Love Chronicles: The Sword and the Rose” which is the one even before, and that has beautifully drawn graphics, sort of like penciled paintings! After playing some 3* games recently and some that are much more on the spooky side, this was a breath of sweet, fresh air. Lovely, but not blaring colors and relaxing ambient sounds. With the music on low, the whole combination transported me into another land, and I was very happy to be there! In addition, there was a very satisfying sound in the HOPS when you clicked on the correct item, both a mild clunk and tinkle together. Peaceful, tuneful, slow new age-type music. Lots of HOPS for the HOPS lovers and a mix of all kinds! Silhouettes, fragmented, word lists… Also lots of puzzles. The only negative thing I have to say about this game is that the ambient sounds (wind, water, birds etc.) are tied in with the music. I never like that in any game, because I want the option of turning the music down after a while, or completely. All in all, a top quality, fantasy game. Only a little bit spooky and creepy, like skulls, skeletons, some ghosts that ask for help and the morphing face of the princess being taken over by an invading darkness. Rated 5 out of 5 by felinedevine from Intriguing and fun game I want to start off by saying how impressed I am with this game. I was blown away by how well done it is for an se. The premise of the story is not original but it is well done. A prince must go back in time to protect Alura, a would be princess who was turned into a witch by an evil entity. The graphics are beautiful, as well as the music which I could have listened to all day. There are a total of 5 chapters to complete. The game is quite long and took me about 6-7 hours to finish on casual mode. The hint system is very good, and actually shows you where you should look by way of a pic of the area. You can teleport to that area by simply clicking on the hint. You also get a journal. I was also impressed by how many areas there are. I never got bored with the scenery because there are so many. Give this one a try fishies, I think you will be as impressed as I was. Rated 5 out of 5 by tutortime from Loved it, worth the money. Long game with loads of interesting places to visit in the game. Different mini games and hint button charges fairly quickly. Rated 5 out of 5 by megs56 from TERRIFIC GAME This game was well worth buying - just as long as some CE's. There were many areas to explore, again, more than most games. HOS were a little different, graphics were lovely and music was just beautiful. When a hint was needed, a "portal" opened up to the area needing to be accessed, so not a lot of backtracking required, which can get a bit tedious sometimes. Worthwhile game! Rated 5 out of 5 by jamsarnie from I LOVED THIS GAME I loved every minute of this game,good Hos.. Games ,and Mini games .Not to short or too long .Very magical .art work lovely .help button worked quickly.so this was a buy for me. Rated 5 out of 5 by nannanow from One of my favorites now!! I absolutely love this game! It's one of the few games that I wanted to play again immediately after finishing it. The artwork is gorgeous and the beautiful music compliments the game play perfectly! You can tell that the developers take a lot of pride in everything about this game (as well they should). Each scene fills you with anticipation for what awaits you in the next and does not disappoint. Unlike some other collectors edition games I've purchased; this one leaves you with the confidence that your money was well spent! It was nice and long and you don't feel like you're left hanging at the end. If you haven't bought it yet I highly recommend that you do it now and prepare to be totally entertained for several hours!! Rated 5 out of 5 by Doriane333 from What a beautiful game! I played the two first games and I enjoyed but this one is far ahead. I really appreciate when dev go further with each game. English is not my language and I can't really express as well as I would like but everything is there if you like beautiful graphics, soft music, very nice HO, fun and original mini-games, etc. Also good leght. Voilà! Enjoy! Rated 5 out of 5 by pennmom36 from Turn back the hands of time... The Prince must travel back in time with the help of Lucio the wizard, a time before Alura was an evil witch to collect her mothers 4 amulets and protect her from corruption! 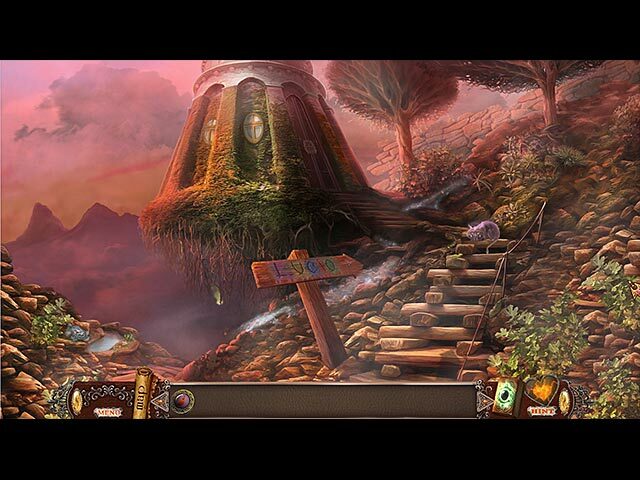 This is a beautiful fantasy-magical themed game with crisp colorful graphics and excellent voiceovers. You have the opportunity to catch fireflies and put them into the hint meter but they are pretty quick and sometimes difficult to catch. The HOS are a mixture of list finds, fragmented objects and placing items back onto the scene so that should cover everybody preference. The mini game aren't new but they are fun such as turning light discs to connect with the main light and turn on all the lights. 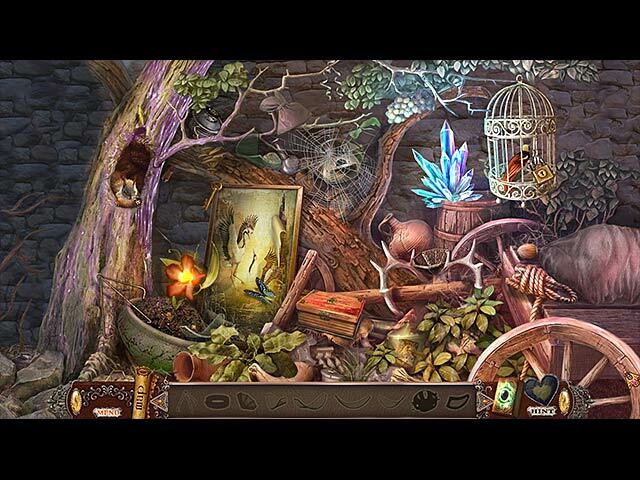 You will travel to different times and interact with magical plants and creatures, this game is sure to please so give it a try. Enjoy! The evil Alura is back, and this time she’s attacking your homeland!